In essence, the tax department advises us that the tax rules applying to barter should also be understood and applied to Bitcoin trades. For instance, if a person exchanges Bitcoins to purchase an clothing item, the seller must include and file in their income statement the equivalent price at fair market value of the item sold. If the piece of clothing is worth $20, then it becomes a taxable income of $20 (even if paid in virtual currency). In England, Her Majesty’s Inland Revenue has recently issued a more in-depth guideline (http://bit.ly/1eXBfZe). Considering that our public right, here in Canada, is largely based on British law, it would be very interesting to follow the evolution of decisions rendered by UK courts. Let’s hope that the Canada Revenue Agency will keep to a much simpler and more functional approach than the one put forward by the IRS. One last critical element to watch: The recent federal budget announced changes to the Proceeds of Crime (Money Laundering) and Terrorist Financing Act which aim at further restricting the exchange of crypto currencies, such as Bitcoins. These measures would notably be concerned with the purchase and sale of crypto currencies. Financial Transactions and Reports Analysis Centre of Canada (FINTRAC) is the responsible agency. Our law firm offers legal and tax services to our clients who are seeking expertise to comply with their obligations concerning the trade of virtual currency. 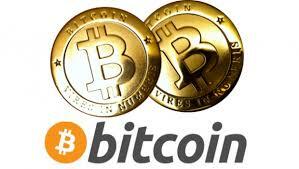 On an experimental basis, our firm currently accepts Bitcoin payments for our legal services.